I have been waiting for 7 months for Loccitane to have their promotion on Delicious Almond range back again. I totally missed the one last year (I wasn't a huge fan yet) so I was waiting month by month for this one to show up. According to their calendar, it should be June (almond month) but Peony make up came up and Almond was I guess, pushed to July. 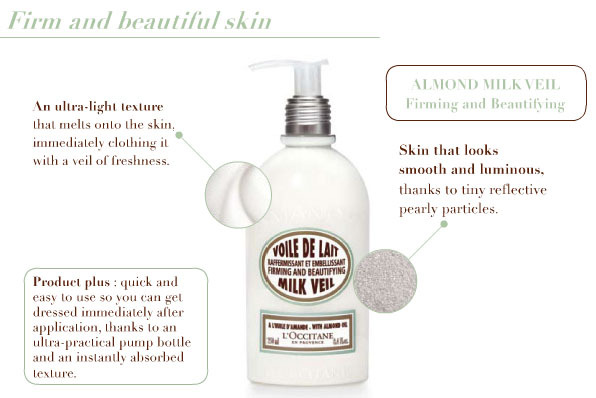 While stalking Singapore Loccitane website last month, I saw they had already launched two new products into the Delicious Almond range, making my "complete collection" incomplete! (screams). 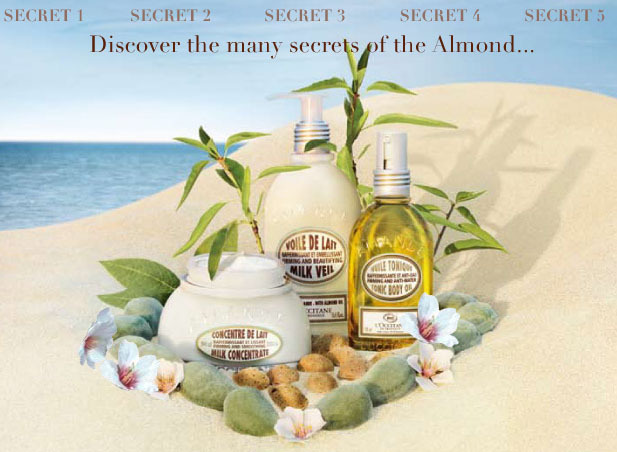 Sorry I am a die hard fan of this almond range, particularly because I really love Almond scents. 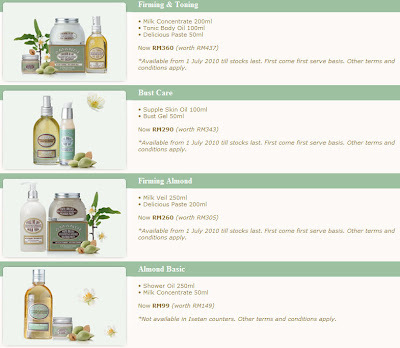 discover the latest products for almond! 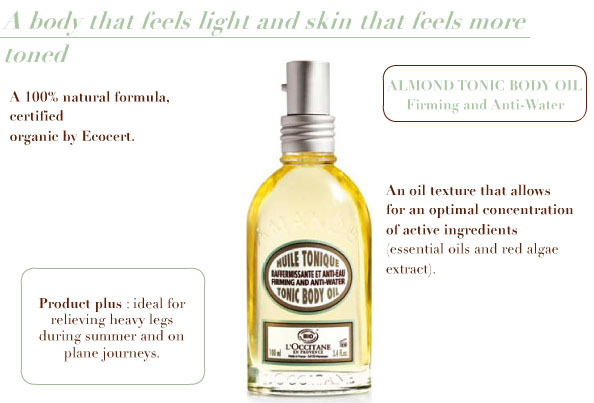 The latest two products - Almond Milk Veil (Body Lotion in a pump) and Tonic Body Oil for water retention and firming (but don't smell almond enough). I prefer the pump packaging this time, coz that'll at least decrease bacteria/air invasion into the product (Milk Concentrate). 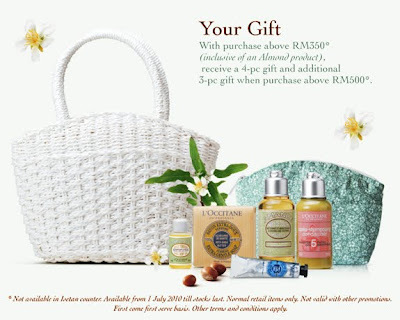 There's more information in Loccitane Malaysia website. I was comparing the individual products (member discount 5%) vs. buying the promotional sets (savings of at least 20%). In the end it was probably the savings & that small gifts that made me decide. I bought the and got the entire gwp tier gifts. Well also thanks to my boyfriend, he has a part in this "haul". He insists he has a part in it. 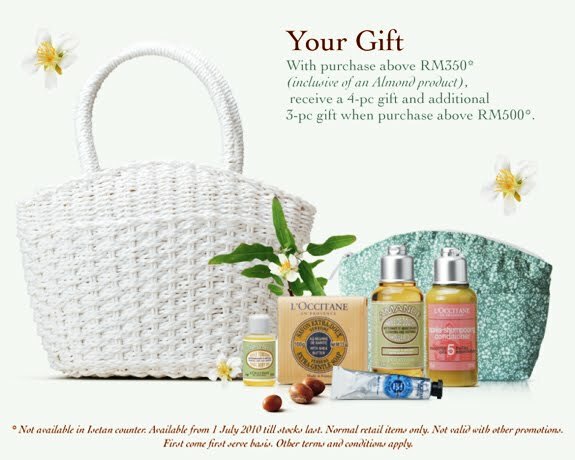 With purchases above RM350* (inclusive of an Almond product) receive a 4-pc gift and; an additional Hand Woven Straw Bag, Almond Shower Oil 75ml and Shea Butter Hand Cream 10ml with purchases above RM500*. *Valid from 1 July 2010 while stocks last. Normal retail items only. Not valid with other promotions. Other terms and conditions apply. Ok so I have the complete collection again! yes almond! my precious~ (Lotr sound effects). 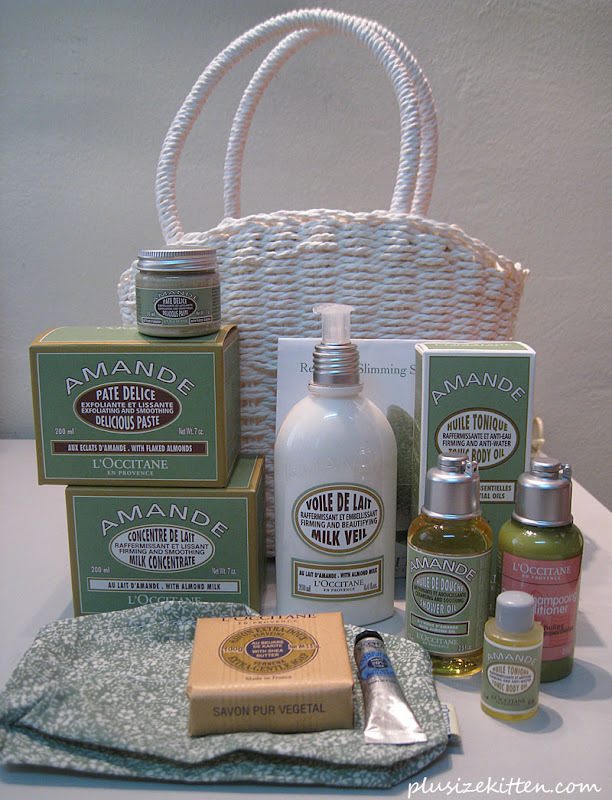 It's the first time I have a complete bath care collection in my life actually. I have never been this crazy if it wasn't for the delicious scent of almonds (and also the benefits of it for firming and toning hehe). ooohh... i can smell the almond from here!! yeah baybeh!! haha!!! 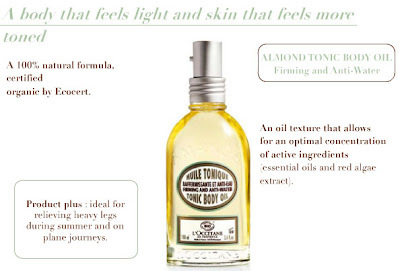 have u tried it before? it's intoxicating..
don't use any of them! just let them sit there & admire them..